Landscape homescreen coming to iPhone 4? Check out this interesting screenshot of a notification pop up appearing in the iPhone OS 4.0. Keep in mind, this could be nothing more than an error or a hoax, but it’s just possible that it’s a landscape home screen on the iPhone. And why not? The iPad offers it when running the iPhone OS 3.2, and jailbroken iPhones can do it. What do you think? Do you want a landscape home screen in iPhone OS 4.0? The saga of the lost fourth-gen iPhone prototype acquired by Gizmodo last week continues and it has just got even more dramatic. 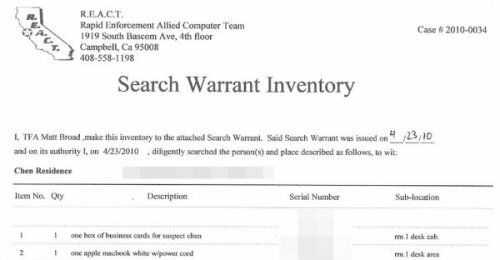 Gizmodo editor Jason Chen’s house was raided by California’s REACT computer crimes task force, who had a search warrant on Friday night. His computers and other items were seized and taken away by truck. The warrant was signed by a Judge of Superior Court of San Mateo. According to Gaby Darbyshire, COO of Gawker Media LLC, the search warrant to remove the computers was invalid under section 1524(g) of the California Penal Code. This weekend there was much drama around the fourth-generation iPhone prototype that was leaked into the world. Was it real? Was it not? And sure enough, it was real. The guys at Gizmodo got their hands on it, and examined it, erasing any doubt. Sadly, they couldn’t get it to boot out of recovery mode, but several new features and changes are obvious. It’s thinner than the 3GS, with smaller internal components and a larger battery inside the metal frame. There’s a front-facing camera, a larger and better camera with a flash on back, a higher-res display that’s a bit smaller, a second mic for noise cancellation, and a new back that appears to be glass or ceramic. Right on the heels of the new iPad release, Apple has announced an event for later today to discuss the release of “the future of iPhone OS” and what will be coming in the iPhone OS 4.0. What new features will be available with the updated OS is anyone’s guess at this point but as usual there is plenty of speculation leading up to the 10AM PST event. If history is any teacher this announcement will be to set things up for a release later in the year, probably closer to the Apple Developers Conference, and Apple will use this opportunity to release features that it might not have in the past when it didn’t have as much competition from things like Google’s Android. New iPhone to have backside touch, AMOLED? iPhone rumors are flying fast and furious this week. To add some fuel to the fire, here’s some speculation from UBS analyst Maynard Um. He claims that the new iPhones may have a touch sensitive back, which is something that people have speculated about for some time. Some other possible features include a 5-megapixel camera, 64GB of storage, AMOLED display and longer battery life. All of those would be nice, but we will see what happens. Apple could turn the back of the iPhone into a touch-sensitive surface, similar to the Magic Mouse. It would make the iPhone even more versatile. But we just don’t know. Despite the name, the folks at Slacker are anything but. They’ve just announced that their Internet radio service will blossom into a full on-demand system, as subscribers can now have access to a new paid feature that will include the option of finding and playing specific songs, as well as creating their own playlists. 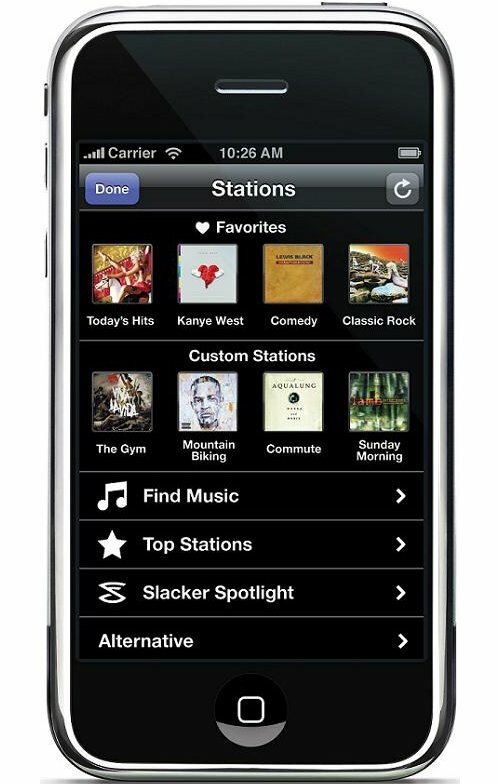 Unlike other services like Rhapsody, the radio feature can come into play even in this mode and will auto-create a playlist based on favorited songs and create a larger radio station out of a user-made playlist. You gain controls such as skipping back through songs. The rumor was that Apple was due to begin selling a contract-free version of the iPhone soon “at list price.” It’s true, you can now pick one up for $499 (3G), $599, or $699 (3GS). They are still sadly locked to AT&T, like a pretty girl chained to Jabba The Hutt, but whatever. Technicalities. We all know it takes like two seconds to jailbreak an iPhone. The assumption here is that you will do so I guess. The Apple store will be selling them at one unit per person per day. iPhone 4.0 software to finally deliver multitasking? As good as the iPhone is, it has one major flaw. 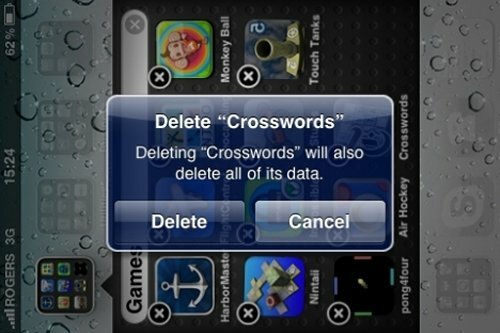 Of all its countless apps, you can only run one at a time. For instance if you want to check your email while you read the NY Times, forget it. You have to close the NY Times app and open the email app. That gets old real fast. Well, according to some new rumors, there will be a new overhaul of the iPhone software this summer, which is timed with the release of an updated iPhone. The software would allow you to run multiple apps at once. Hopefully the rumors are true, because it’s long overdue. 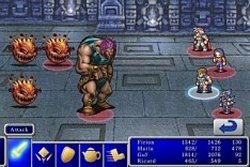 The iPhone has some decent games, but there are some classics that it is lacking, like Final Fantasy for instance. Not anymore. According to Square Enix, Final Fantasy will be headed to the App Store soon, though we don’t have an official release date or price yet. Judging by the screenshots, you shouldn’t expect a modern version of course, but it should be fun for those gaming on their iPhone while they should be doing something else. New iPhone to feature touch sensitive casing? The rumors surrounding Apple’s new iPhone just won’t stop. The latest rumor suggests that Apple might have something in the works regarding the iPhone’s casing. It might be a touch-sensitive case, similar to the case that the Apple Magic Mouse has. If true, this could change the device big time. It won’t be so great for those third-party iPhone protector casings, which would block the touch function. So, you probably laid out $3.2 million for that sweet iPhone 3GS Supreme and you’ve been flashing it around town wondering when it would be kidnapped and ransomed back to you. Well, my foolish rich friend, you no longer own the most expensive iPhone ever. 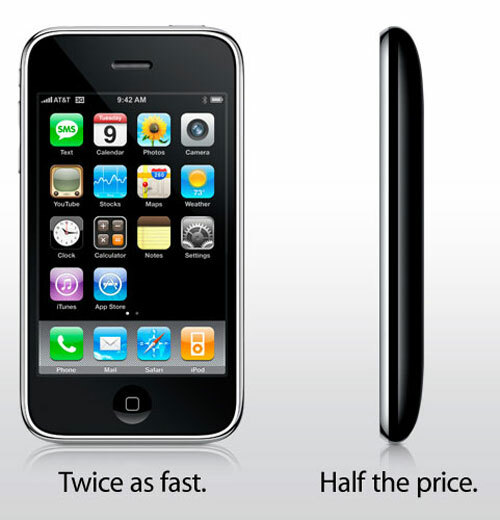 That’s because the folks over at Stuart Hughes now have the iPhone 3GS Supreme Rose, which costs just a tad more. 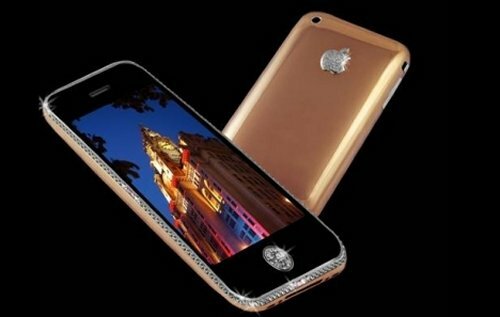 Your lunch money will get you an iPhone 3GS with a 7.5 carat single cut diamond centering the design, a platinum bezel, 18 carat rose gold, some diamonds and four 2.5 carat pink baguette diamonds. Lots of people around the country take tons of pictures and video with the new iPhone 3GS. Many of the people who take lots of pictures like to share them on ImageShack and Twitter as well. ImageShack has announced a new update for its iPhone app that makes sharing easier. The app is now at version 2.0 and lets the user directly upload photos and video to ImageShack for sharing. The app also lets the user use yfrog to upload pics to Twitter. Multiple login options allow you control over where and how your images are uploaded. 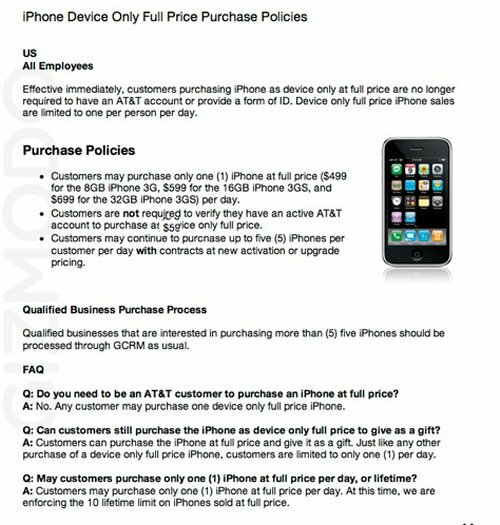 iPhone 4G to be released in June? 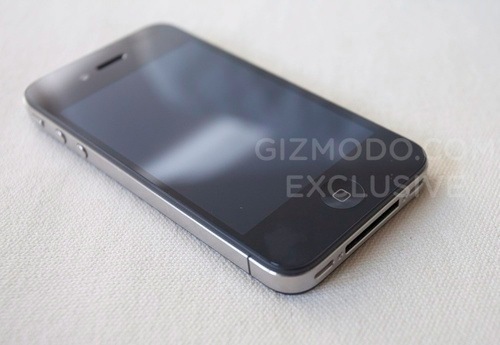 Brace yourself for the latest iPhone 4G rumor. 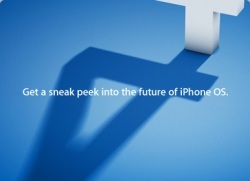 This will surprise no one, but according to sources in Korea, the next iPhone will likely be named the “iPhone 4G”. 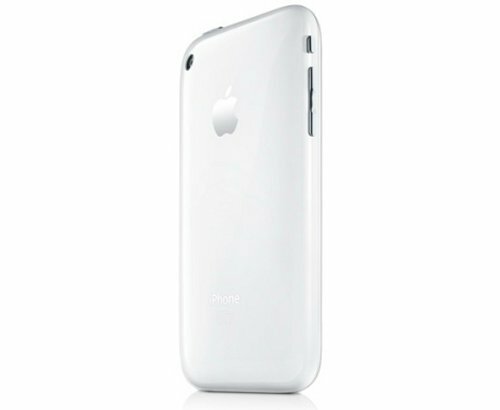 Sources even claim that KT has signed a deal with Apple to release the iPhone 4G in June, when the phone is launched worldwide. 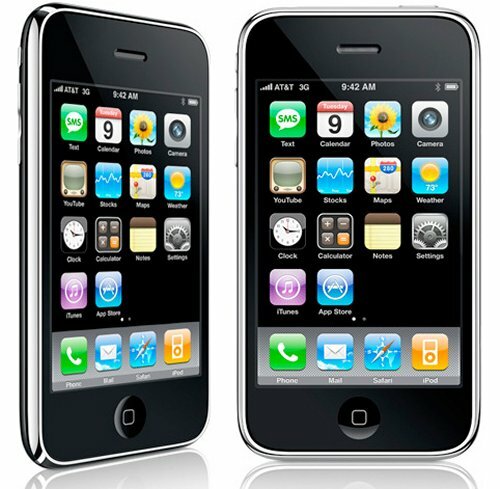 The rumor claims that the iPhone 4G will feature 2 cameras for video calling, better battery life, and maybe mobile TV service (That could just be for Korea). What Do you think? Anything to these rumors? Will Apple soon offer up an 8GB iPhone 3GS? There’s nothing official yet, but according to a German shopper, when he purchased a refurbished 8GB iPhone 3G, he received the phone with a label on the back that suggests an “iPhone 3GS v2.2 8GB” model. The model is A1231 and the part number MB490DN/A point to the older model correctly, but the “iPhone 3GS” appears elsewhere on the packaging. Let’s say you are really into your iPhone. Let’s say you you worship Steve Jobs. In that case it’s totally understandable to toss out all of the conventional Christmas gear in favor of Apple products. You’ve ditched the nativity in favor of a Macworld diaroma complete with baby Stevus. You hang Apple packaging by the chimney with glee, instead of stockings. You’ve even attached Reindeer antlers to dolls of the Jobs man, pulling a sleigh. All that’s left is to decorate the tree. 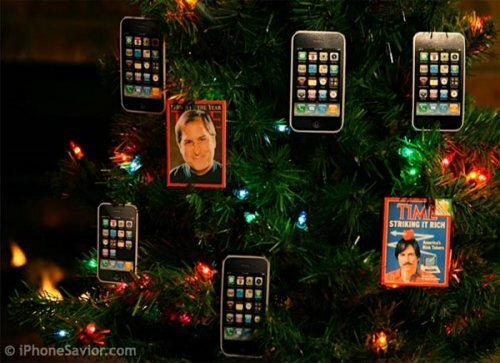 Take a cue from the folks over at iPhone Savior, who have decided to decorate their Christmas tree with iPhone decorations and Steve Jobs magazine covers. We suppose you are waiting on the Apple tablet to top the the whole thing off.